One of the most valuable things to recycle is metal. There are many different kinds of metal. Knowing which ones are recyclable and where to take them can pay off literally and figuratively. Everyone knows how important it is to recycle and reuse items. Plastics, newspapers, and glass are freely given to recycling centers. Many municipalities send special recycling trash pickups to residences every week. The more recycling that is done, the more resources can be conserved and the carbon footprint reduced. You might have tossed recyclable metals in the trash without realizing how important it is to recycle them. Many scrap yards in your area will pay a nice price for aluminum, copper, steel, and more. All you need to do is know how to sort out the recyclable metals and find a good scrap yard to take them to in your area. You can find scrap yards and more information about what they take and how much they pay online. Carefully sort through the listings you find, and call them to ask more about what they will accept and what they are willing to pay. Start by separating ferrous from non-ferrous metals. The easiest way to do this is by taking a magnet; a refrigerator magnet will do, and see if the metal sticks to it. If it does, you have ferrous material. Ferrous metal is not worth a lot, but a scrap yard will still take it to have it recycled properly. If the magnet does not stick, then you have non-ferrous metals. These are usually copper, aluminum, tin, nickel, and stainless steel. If you take these to your metal recycler, you can get a pretty decent payment for them. Be sure to separate your metals and double check with your recycler to make sure that they accept them. If you are unsure of what type of metal you have your local scrap recycling facility will know. Copper is one of the most valuable scrap metals out there. You can get more for it by stripping any copper wires you have before you go to drop them off. Wire strippers are handy for this task and they work on aluminum wires as well. 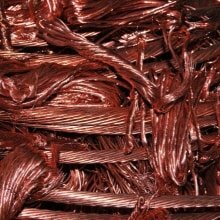 Copper wire is usually found in electrical systems but it is often covered with black plastic insulation. Other forms of copper are noted for their reddish color. This is a sign that the metal is in good shape. If it is greenish or has dark brown areas it is probably worn. Besides wires, you might find copper in pipes, gutters and inside air conditioners. Consider recycling the next time you do work on your home. Be careful about doing any remodeling with copper pipes or wires. You need to be certain your workers keep any materials secured away when they are not around. Many times, because copper is so valuable, pipes and wires are stolen from construction sites or at the sites of home renovations. Most people are aware aluminum cans can be recycled, but are not as informed when it comes to aluminum scrap. Besides soda cans, other forms of this recyclable metal include those painted white or silver. Aluminum is easy to bend, and it is often found in siding, gutters, window trims and other places around the home. Again, the next time you are doing any work on your home, consider taking a moment to check if any of your material contains aluminum that you can recycle. Aluminum is not worth as much as copper but it is still worth recycling. At the very least, any recycling that you do is helpful to your community and to the planet at large. Even if you do not get paid a lot, or you do not get paid at all, you can still do something good by recycling any aluminum that you have. Brass is often found in light fixtures, locks, keys, hardware, and metal decorations. 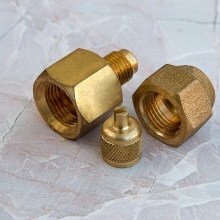 There are over 60 types of brass and it can come in a range of different colors depending on the other metals that were used during production. If you have any doubts, contact your scrap metal recycling center for more information. Steel is easy to spot. If you have any doubts, the magnet test will clear those doubts up because magnets stick to steel easily. 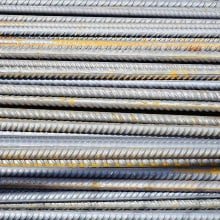 Steel can be part of building material such as rebar, but can also be found in chairs, furniture, and cabinets. You might not get a lot for recycling it but disposing of it in the regular trash can be a mistake because it is a great material for recycling.